While the guitar is one of the most popular instruments to learn, it is also one of the most difficult to transport. The large size makes it nearly impossible to bring onto a plane, with several well-known incidents of professional players having their guitars damaged during transportation. That is where the Jammy portable guitar comes into play. Unlike a regular guitar, the Jammy can snap apart into 2 pieces, making it small enough to fit into a backpack. 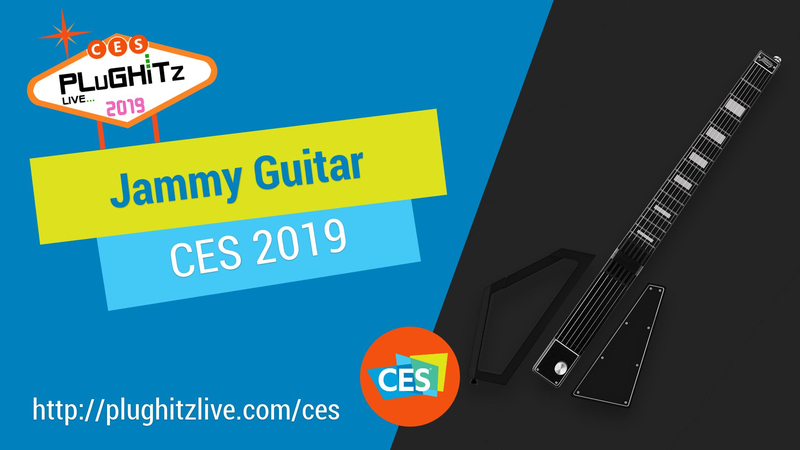 The Jammy is a fully-capable digital guitar featuring real steel strings. Rather than using the strings to create sound directly, the Jammy is a MIDI controller, turning your actions into digital commands. Those commands can, naturally, replicate the acoustics of a guitar, but can be used to produce any number of collections of sounds. The best part of all of this is that all of the signal processing can be done directly on the guitar, meaning you don’t need a phone or tablet in the mix for the Jammy to work. This gives you the power of digital audio without the lag of external processing. On the device is a collection of audio interfaces. The first is the obvious: a 1/4″ jack, which is the standard for connecting an electric guitar to an amplifier or professional sound system. If you’re not playing in public, you can use the 1/8″ jack, which is the standard jack for headphones. With that, you can play entirely privately, using your own choice of headphones. Finally, it also features a MIDI interface over USB-C, so that you can connect the Jammy to a computer. 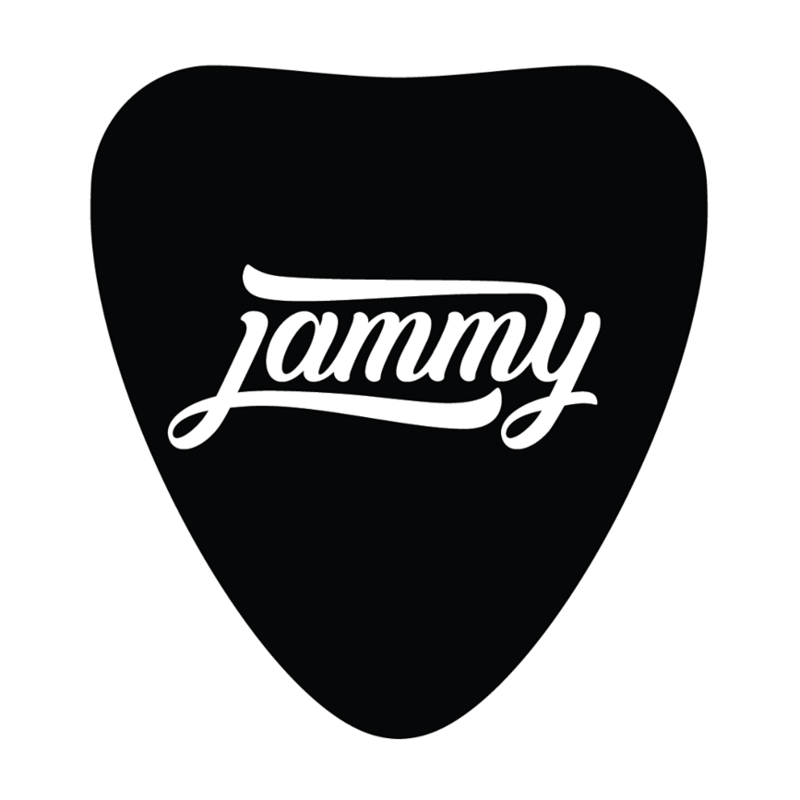 Jammy can then be used with any number of music programs to create beats and more. The Jammy can currently be preordered for $399, with a future retail price of $499. 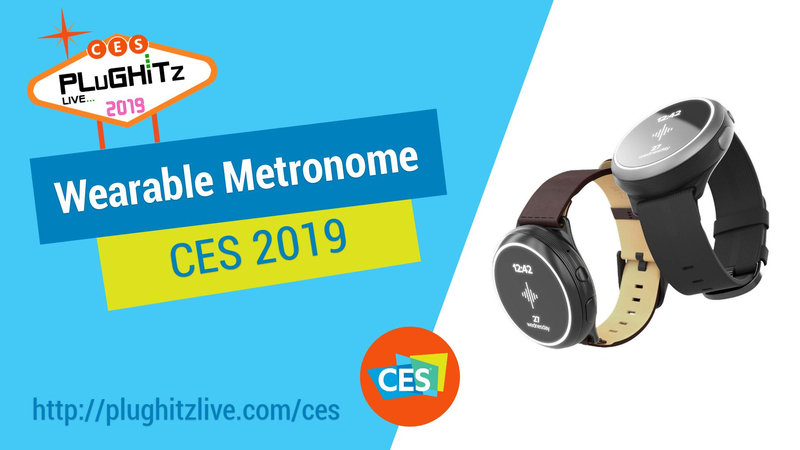 When you think of products that are ripe for innovation, your short list probably does not include the metronome, the traditionally pyramid-shaped device that musicians use while practicing to keep their rhythm. Luckily, the team at Soundbrenner felt differently. This team of musicians saw that there were some obvious pitfalls to the traditional metronome device and set out to solve them with the Soundbrenner Pulse. The first, most obvious problem is that the sound of the metronome can easily get drowned out by music, especially if you’re practicing as a band. There have been some solutions, but none of them are great, like having multiple devices or trying to mic the timer. With Pulse, however, loud music isn’t a problem. This device is worn on your wrist like a watch, or can be attached to a guitar strap, or however you feel comfortable, and uses light and vibration to overcome the limitations of audible timing. All you have to do is tap the face of the Pulse to the rhythm you want to set, and the Pulse will keep the rhythm until you tell it to stop. Another problem with band practice is keeping the whole band in sync. The Pulse allows you to sync up to 5 devices together, so everyone is on the same beat. This is done via Bluetooth, using one device as an active and the rest are set as passive recipients. This gives a band the ability to stay together as they learn a new song, or even during a performance, where acoustics in a venue can throw off the group’s rhythm. This year, the company is introducing the Soundbrenner Core, a new take on its established product. In addition to all of the features of the Pulse, Core brings some cool new capabilities. For example, Core has the ability to assist in tuning. Using a contact microphone and a removable faceplate, the device can help any musician get their instrument into proper tune. It can also be used to measure the decibel level in the room you are in. In addition, the Core can be used as a smartwatch, receiving notifications from your phone, making it a perfect companion for any musician. The Pulse is availabe now for $99, and the Core is available for pre-order on Indiegogo InDemand. When most people think of Canon, their first thoughts tend to be of cameras, and for good reason: the company has been making cameras and lenses since at least 1940. 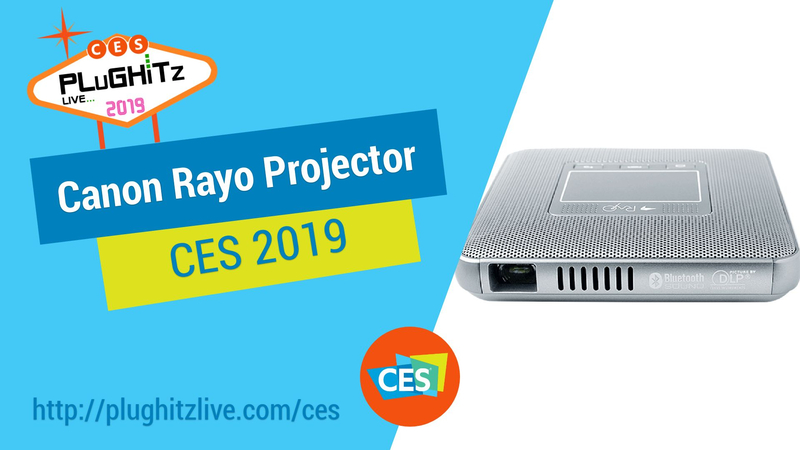 But soon, some people might think of projectors first thanks to the Rayo S1 mini projector. While Canon is no newcomer to projectors, the S1 takes on a whole new market in a big way. This little device is able to produce an 84-inch image with only about 3 meters of throw distance while being only about the size of a portable CD player. This projector is the perfect companion for any salesperson, as they can easily carry it in their laptop bag or briefcase and, since it has an internal battery, they won’t even need to find a power supply in the room where they are giving their presentation. Imagine being able to easily set up in a coffee shop without having to sit in just the right booth. In addition, the S1 itself runs a version of Android right on the projector. 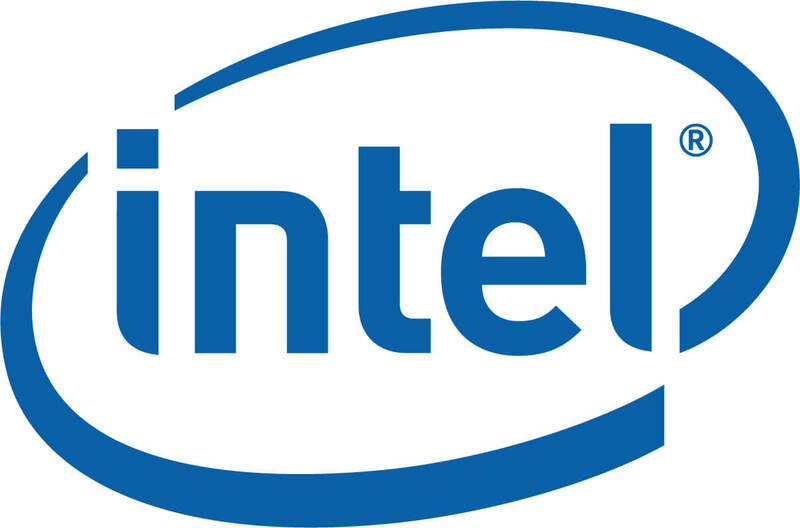 Because of that, you can install apps directly onto the device and use it without any external device plugged in. A member of the Canon team discovered that if he strapped the projector to the side of his bed, he could use Netflix on his ceiling without any setup. At $259, this mini projector can even be part of anyone’s travel bag. Rather than carrying every possible cable that a hotel television might have so that you can watch Hulu at night only to be disappointed because the hotel TV doesn’t have working HDMI ports, you can bring the S1 projector with you and know that it is going to work without any problems. The Rayo S1 mini projector should be available this May from Canon. To so many of us, Music is Life. And Crosley Brands is right there with us. There is always so much fun stuff to explore and we have an absolute blast when we visit their booth at CES. Honestly, this year may just have been the most fun yet. The retro feel and cool vibes come second only to the hospitality of the Crosley crew. They always share our excitement while giving us a tour of their new products. First up was Jason Menard, Director of Marketing, to show off their new cassette players. That’s right, radios with cassette tape players. These sweet little players were brought back by popular demand as many customers have been asking for them. And as cute as they are, don’t let the retro look fool you. They are chocked full of every modern technical convenience that you want. You can make bae a rad mixtape easier than ever before thanks to the ability to use a flash drive, sd card, and four different radio bands. And you won’t need to dig out your Mr. Mike to sing along with the recordings of your favorite tunes because there’s a mic built right in. And the upgraded model boasts a functional VU meter. You’ll be able to ramp the volume up to the max and adjust the bass and treble to your own specs with the adjustment knobs on top. If you’re ready to start a new mixtape collection of your own, you can grab yours from Amazon with the following links, CT100, CT200. Next up was the most impressive and fascinating new product in their line. It provided almost as much entertainment as the Bellagio fountains for our PLuGHiTz Live crew, as it was equally hard to pull ourselves away from the musical theatrics. Chris White from Sound Leisure demonstrated the full-sized LP Jukebox that he designed. Everybody knows that we love all things robots and this masterpiece is integrated with lights and music. So basically, all of our favorite things. We were mesmerized! In the past, they’ve done the 7-inch singles, CD’s and Digital in past jukeboxes but this is the first one that’s playing full-size records. It holds ten LP’s and it’s mechanical so it will change them automatically. You can play each side. It also has Bluetooth and auxiliary inputs and outputs that allow you to run extension speakers off of it, as well. There’s a fully functioning remote control so you can even change the color of the lights with the flick of a button. You’ve got 10 hours of music really without leaving your chair. And really, you won’t want to because it’s truly music and a show. Lastly, we had the pleasure of speaking with Scott Bingaman, President of Deer Park Distributors and Carrie Colliton, Co-Founder of Record Store Day. In recent years, Crosley has celebrated Record Store Day with a special new product. This year it’s the adorable RSD 3 Mini Turntable. It uses 3-inch vinyl records, which were popular in Japan in the early 2000s. They are bringing them back for a launch with the mini turntable on Record Store Day, which is April 14th. It will be available in hundreds of record stores on that date, along with an assortment of vinyls for playing. Titles from artists like the Foo Fighters and Jack White will be among the first released. This cute little guy is small in size but large in sound. It has a built-in speaker but also a USB power headphone jack and can be hooked up to any external speaker. Carrie pointed out that this is a perfect way to celebrate the day. Record enthusiasts will have a cute, portable little turntable that will play one song and bring happiness. The vinyls can be played and shared like playing cards as people listen together. The price point is still to be determined, but they expect it to be in the $70 range. I know that we’ll be looking out for one of our own. If you purchase one as well, don’t forget to come back and leave comments about how you like it and which tunes you have. To get more information about these and their entire product line, check out their website. No tour of the TCL booth at CES would be complete without checking out the sound systems. We already know that they make amazing TV’s that get better every year. However, as the sets get thinner, the more difficult it gets to deliver good sound. Bruce Walker gave us the skinny on their new sound tech. 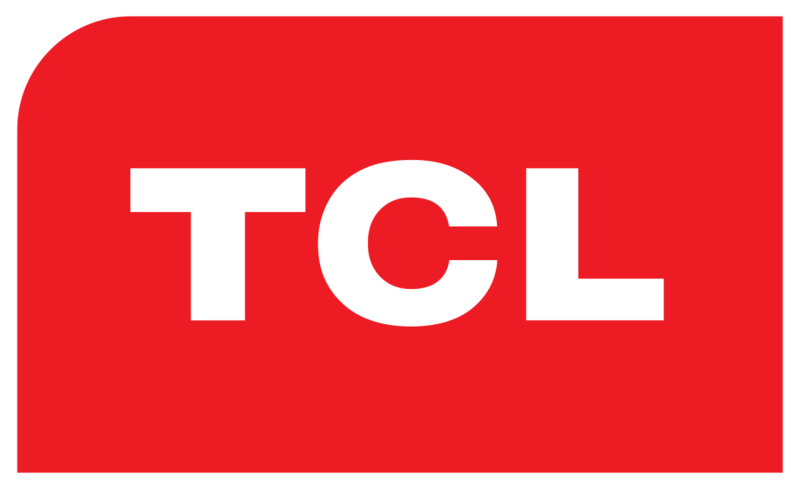 In the next couple of months, TCL will be introducing a family of sound bars that are designed to deliver a great audio experience. The line up will contain two families of sound bars called the Alto 5 and the Alto 7. Both will be available with or without a wireless subwoofer. The Alto 7 improves the audio of the Alto five by having separate woofers and tweeters in the main sound bar for better clarity. The 7 has a slightly bigger subwoofer and also has the ability to have HDMI connectivity. This allows for one cable connection to the TV for automatic communication between the two for easy control. The best part is that these sound bars that are under $200 but deliver very good and robust sound quality. There are also three preset sound modes including movie , music, and news to tailor the sound to what you’re watching and offer a great home theater experience on a budget. Also in the sound section, this year is a new family of headphones that aim to appeal to a wider and younger audience. The lineup includes the SOCL for the inspired lifestyle, the MTRO for a bold sound, the ACTV that are perfect for any workout and their ELIT headphones that will deliver premium performance. And we have to say, the prices can’t be beaten. 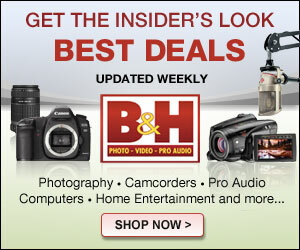 Prices range from $10 to $99 but don’t think that you will have to skimp on features. 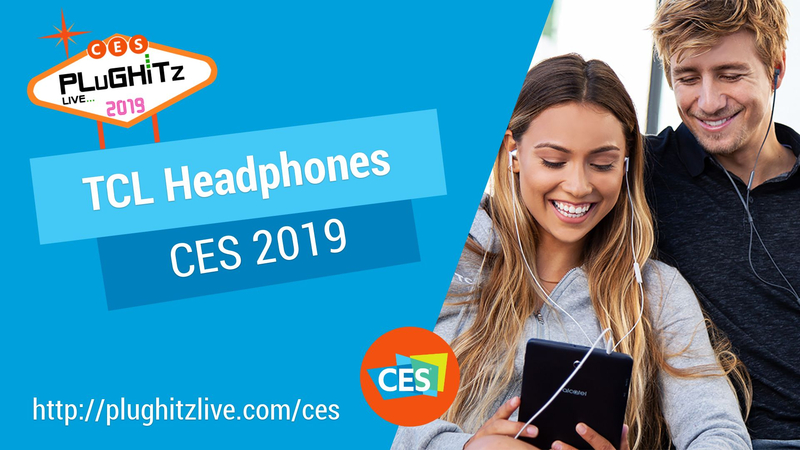 From 18-hour battery life to an integrated remote and everything in between, you will be able to match the perfect set of headphones to every aspect of your life. 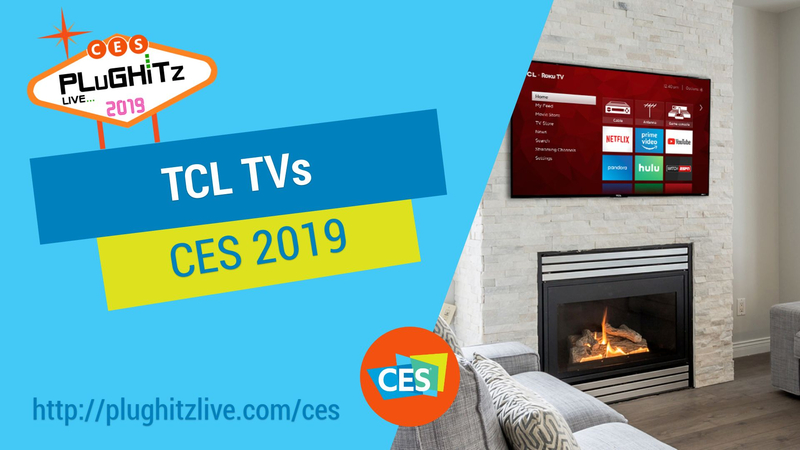 To learn more about the entire TCL line, click here to visit their website after you watch the full interview. 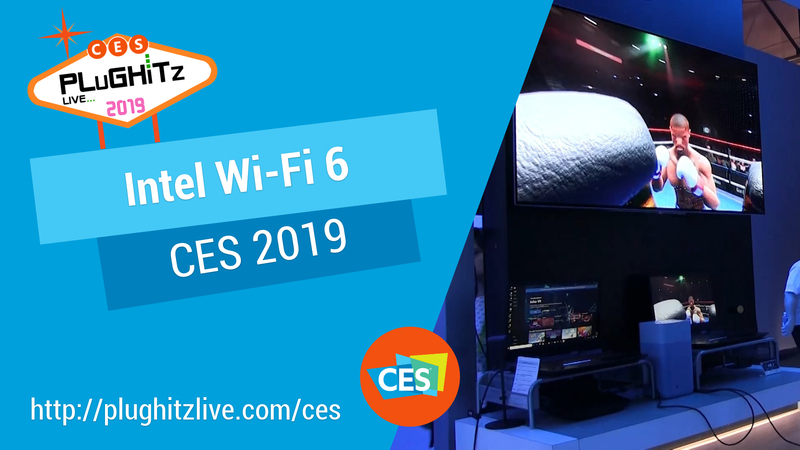 When we’re making our rounds throughout CES every year, there are a few familiar stops that we really look forward to visiting. Alec Lansing happens to be one of them. And, as always, we thoroughly enjoyed taking a tour of their latest and greatest. Up first were the new Rock Box XL speakers. 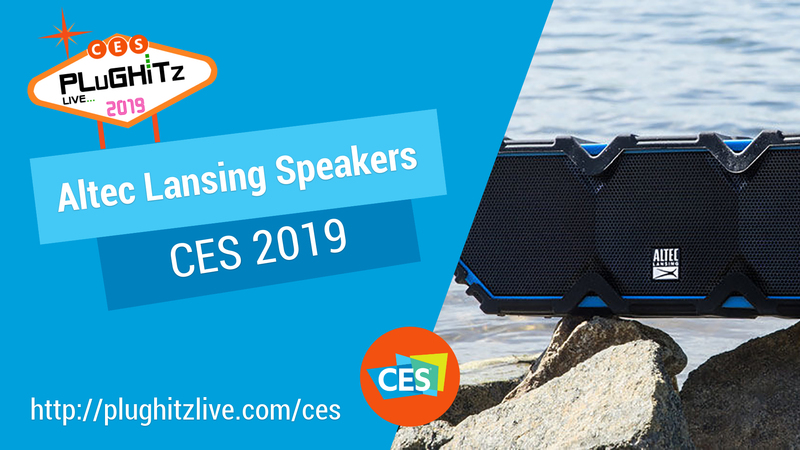 These fun, waterproof speakers are certainly ready to party. With an IP67 waterproof rating, you can just toss it in the pool and it’ll float up with great sound. And what’s really cool is that they come equipped with LED lights that not only look great as they light up the pool, but they also illuminate to the beat of the music. 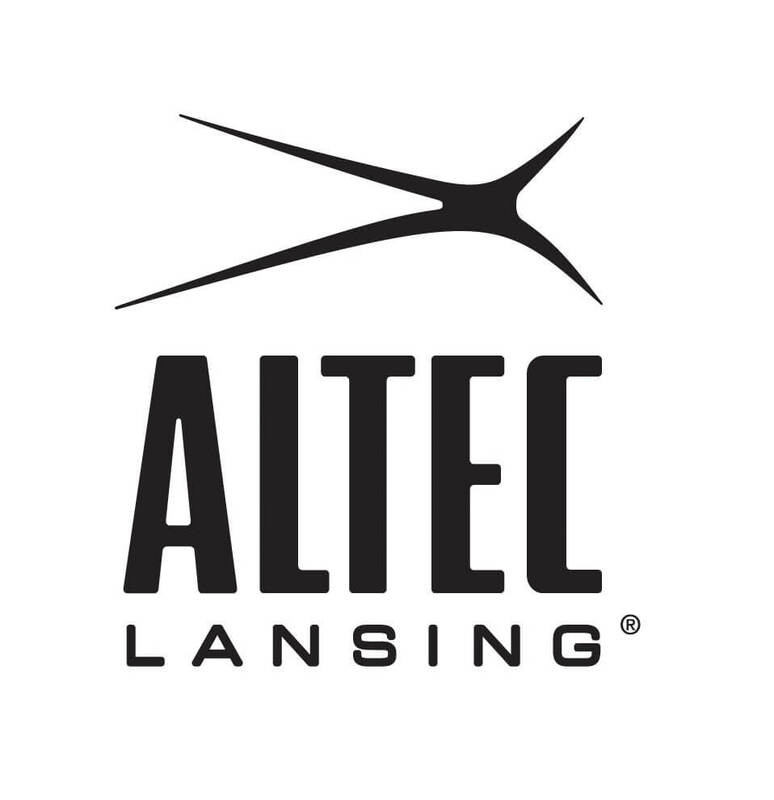 To top it all off, consistent with the rest of Altec Lansing’s Bluetooth speaker line, you are able to connect up to 50 other speakers in line with each other. So you’ll be able to turn your home into a true party house with connected speakers in the pool, on the deck, in the yard, house and anywhere you need the tunes to flow. Can you imagine a neighborhood block party with these babies? We sure can. You can start planning your festivities now, with the release date of these expected in the 2nd to 3rd quarter of 2019 at the amazing price of $49 each. Another cool new product being featured this year is the Action Cam Speaker. It’s a Bluetooth speaker that has an action cam built right in. So you’ll be able to take 360-degree video while listening to your favorite playlists. Why on earth would anyone need this type of product combination? Well, it’s also waterproof, allowing it to be mounted on a kayak so you can capture all of the amazing views that you encounter while also listening to your music. It can also be great at a party to catch all of the action, or on a bicycle. The possibilities are plentiful. You can expect these out in the 3rd or 4th quarter this year at a price point of $199.99. There are a lot of speakers in the complete line with a full range of great features. Prices start at just $29.99 and go up to $299. You’ll surely find something that you will love, so make sure to check out their website to pick out your favorites. Likely the most unique product in the line is the Glow Run earbuds. These earbuds are designed for use when running and feature an illuminated wire. Obviously, one purpose for the illumination is for fun and style, as the earbuds come in a variety of colors. However, there is a safety feature included, since running outside at night gets a lot safer when you have a light on your body. It’s pretty common for runners to carry a light on their waist, but with the Glow Run, you’ve got it all in your earbuds. The Glow Runs will retail for $49. 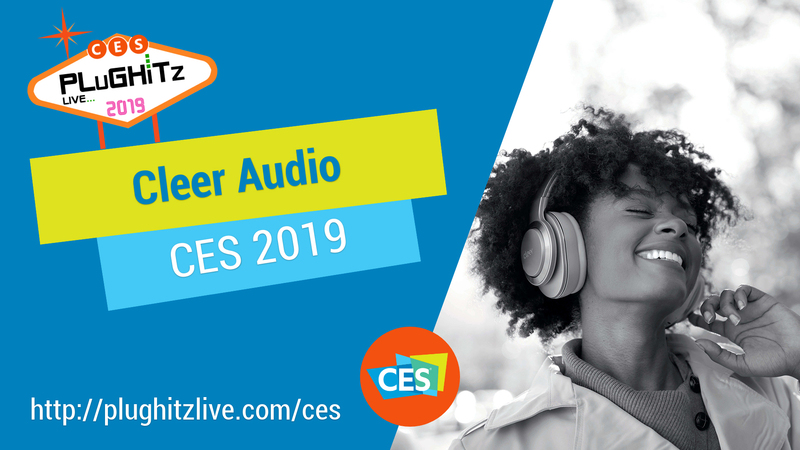 Another popular product in headphones this year is True Wireless, and Altec Lansing has enhanced their EVO line of earbuds to feature several models. The standard EVO model runs $59 and features 5 hours of playtime and 3 additional charges through the case. The EVO+ model runs $99 and adds Qi charging to the case and an additional full charge and comes with a Qi charging pad. The EVO Sport runs $119 and extends the playtime of the earbuds to 6 hours and offers 5 full charges in the case. The EVO ANC runs $149 and adds active noise cancelation to the mix, which is perfect when you’re in a position with a lot of background noise, such as on an airplane. 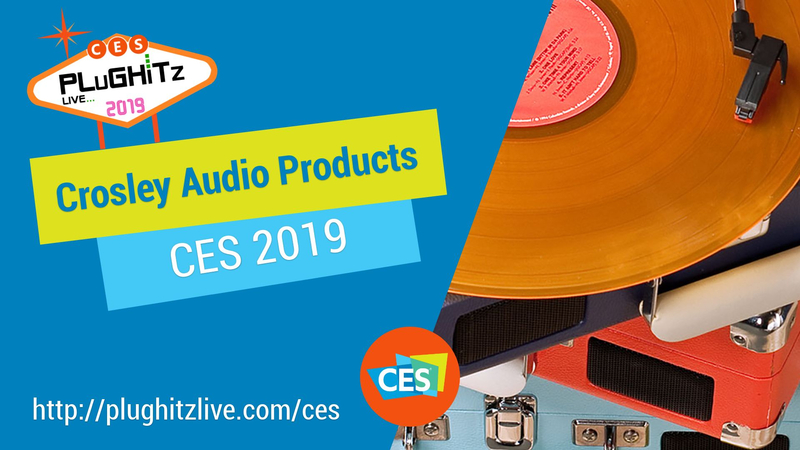 In addition, there is the more standard line of headphones, all of which feature Altec Lansing’s great sound quality and variety of colors, styles, and materials to make the headphone experience your own. You can see their full lineup on their website. Not to be left alone, the Mirage has a sibling: Connect, another speaker featuring a screen. Unlike the Mirage, however, the Connect has a traditional screen across its front. Connect’s screen is adjustable, meaning that you can put it on your bedside table, or any other surface, and adjust the angle of the screen depending on what you are doing and where in the room you are. It also has a camera, so you could use it for video conferencing, making it a good accessory for your office, as well. Adding to Cleer’s speaker lineup is the Halo, a unique little pair of speakers designed to be worn around the neck. 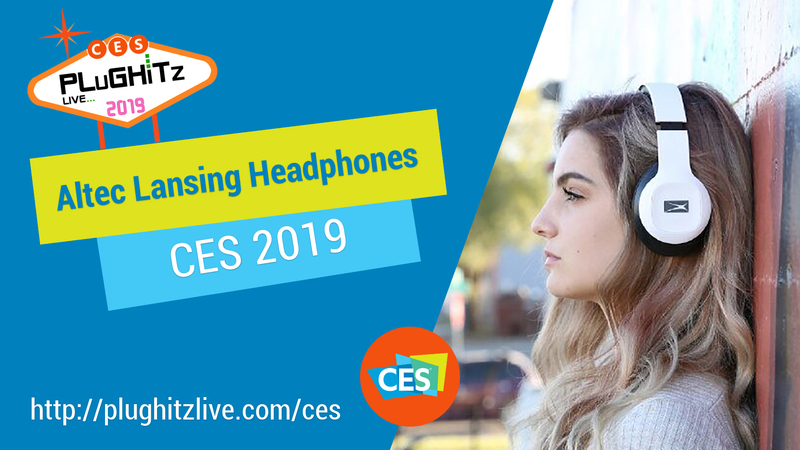 While they may look like headphones, they are definitely intended to have the option to share your music with the people around you. The speakers have magnets on the inside, allowing you to snap them together for easy storage and transportation.